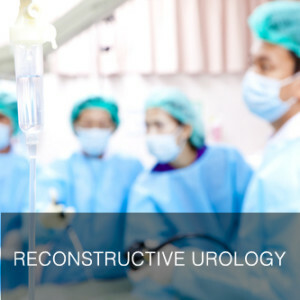 Reconstructive urology is a highly specialized field of urology that restores both structure and function to the genitourinary tract. Prostate procedures, full or partial hysterectomies, trauma (auto accidents, gunshot wounds, industrial accidents, straddle injuries, etc. ), disease, obstructions, blockages (e.g., urethral strictures), and occasionally, childbirth, can necessitate require reconstructive surgery. The urinary bladder, ureters (the tubes that lead from the kidneys to the urinary bladder) and genitalia are other examples of reconstructive urology.